Chicago is the powerhouse city of the US Midwest. Of course, if you live in Chicago, it's all about Chicago, not the Midwest. And while it is famously called the "Windy City" and people talk about "Chicago deep dish pizza", either of these "tags" will stir up controversy from folks that live here. When I think of Chicago, I think of neighborhoods. Walk the city and you see amazing transitions as you cross streets. Culture changes as you traverse the areas. Visitors can only marvel at the beautiful grounds, parks, buildings, museums and structure along the shoreline within (and beyond) The Loop. One is left to wonder how Chicago "gets projects like this done" where other cities struggle. It is a wonder to see the beautiful public spaces that line the shore of this city. Weather is a popular subject in Chicago. Winters can be harsh. Summers can be hot and humid. Spring and fall will be variable. From our view, forget about the weather. If you have a chance to visit Chicago, take it. 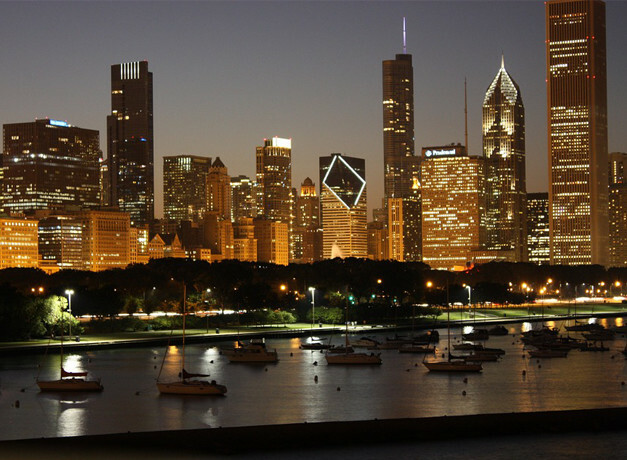 From the history, to the buildings (architecture), to the museums, to the public attractions, to the beaches, Chicago is a first rate city and a great city to visit.